Black Friday Cyber Monday Sale 2017 – 25% Off! Take advantage of our biggest discount coupon sale of the year! This limited coupon sale is available to use now through Monday, 11/27. Enter coupon code BFCM25 at checkout to apply the 25% off discount on your total order before taxes (if applicable). This discount code is applicable to U.S. residents only. This coupon cannot be used in conjunction with other coupons and is valid to use on BELLEANDBLAIRE.COM only. 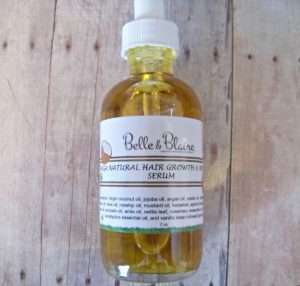 Our new and improved formula of natural hair growth and repair serum. New Formula! New Label! New Name! 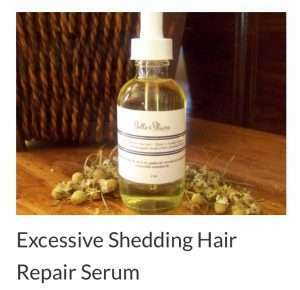 Plant Based Mega Natural Hair Growth & Repair Serum is made for slow growth, hair shedding, dry, damaged, frizzy and color treated hair. Yes, it’s possible with this special oil blend to obtain a Rapunzel-like mane. Not exactly like Rapunzel, but fairly close if you have the long hair gene. The good news is that you don’t need to have the long hair gene to achieve healthy beautiful hair. First thing you need to do is to apply this nutrient rich serum right before you shampoo your hair, wait an hour and then wash your hair as normal. It’s just that simple! Available to buy on Etsy. As a natural antiseptic, carrots will help make your skin feeling fresh and healthy. It contains vitamins A which is an antioxidant. It also contains vitamin K and antioxidants that will protect skin by limiting the production of free radicals, which can damage skin cells. It can do a lot for the health and appearance of your skin, including reducing the signs of aging. 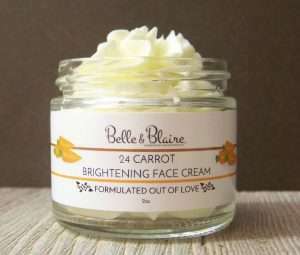 This product is made with carrot seed oil which is high in antioxidants, it’s a natural for any anti-aging skin formula. These components can help protect your skin from environmental stressors and has the ability to rejuvenate the look and feel of your skin.Carrot seed oil a great anti-aging ingredient that will help firm and tone your look. If you have dry or oily skin, you don’t have to worry—like many natural oils, carrot seed oil has the ability to balance both! It gives skin just enough moisture without clogging pores, making it perfect for all skin types. 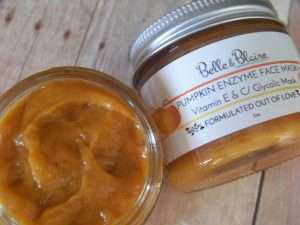 Pumpkin Enzyme Face Mask is the perfect super food for your skin. Packed with fruit enzymes and alpha hydroxy acids, this Glycolic mask will increase the skin cell turnover rate while giving your skin a smooth and firm appearance. Pumpkin is rich in important essential vitamins and nutrients necessary for healthy and radiant skin. Rich in Vitamins: Pumpkin is excellent for use on all skin types, but especially if your skin is damaged from overexposure to the sun. Pumpkin is rich in vitamin A, which soothes and softens your skin, and vitamin C, an antioxidant, that can help to remedy damage produced by free radicals. A pumpkin facial mask will nourish your skin and promote the absorption of these nutrients. Dissolves Dry Skin: Skin care products containing pumpkin such as exfoliators and moisturizers can be used on all skin types to help remove old surface skin cells and promote new cell production. Moreover pumpkin contains natural enzymes that help to dissolve dry skin cells. Anti-Acne: Pumpkin contains the acne fighting vitamins E. Pumpkin anti-acne masks promote healthier skin by fighting inflammation, reducing pore size, controlling excess oil and preventing the appearance of pimples, blackheads and blemishes. Autumn Sale – 15% Off! Enter coupon code AUTUMN15 at checkout to apply the 15% off discount on your total order before taxes (if applicable). This discount code is applicable to U.S. residents only. This coupon cannot be used in conjunction with other coupons and is valid to use on BELLEANDBLAIRE.COM only. 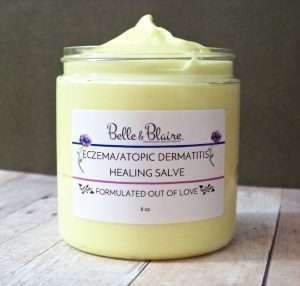 Eczema/Atopic Dermatitis Healing Salve was formulated for eczema, dermatitis and psoriasis sufferers that would benefit from a mix of natural ingredients to instantly soothe irritated skin as a result of itching and scratching. Shea butter – From the fruit of the karite tree, shea butter works to prevent moisture loss from the skin. Coconut oil – A natural emollient, its natural antioxidant properties make it great for stopping wrinkles and skin irritation. 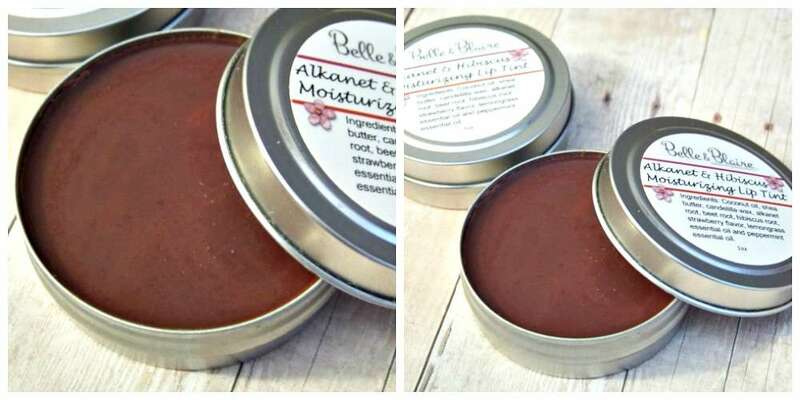 Cacao butter – Extracted from the seed kernels, it is known to reduce dryness of the skin and improve elasticity. Vitamin E – A naturally-derived ingredient with anti-oxidant properties, helping to reduce skin inflammation or irritation. Avocado oil – Pressed from the fleshy portion of the avocado fruit, it is a great emollient with skin soothing properties. Rich in proteins, fatty acids and vitamins A, B1, B2, B5, Vitamin D, E.
Jojoba oil – Rich in Vitamin E and has a high fatty acid content, it is easily absorbed & revered for its restorative properties, especially on dry, damaged or mature skin. Helichrysum Italicum oil – Known for its therapeutic properties that are effective on all types of skin blemishes. Use it to reduce the appearance of scars and wrinkles, or other skin blemishes on the face or body. We have created a new lip stain made from alkanet root, beet root and a touch of Hibiscus flower to give a natural pink shade for pale and darker toned lips. We also added Shea butter to add moisture and a mix of natural oils to keep your lips feeling healthy and smooth. 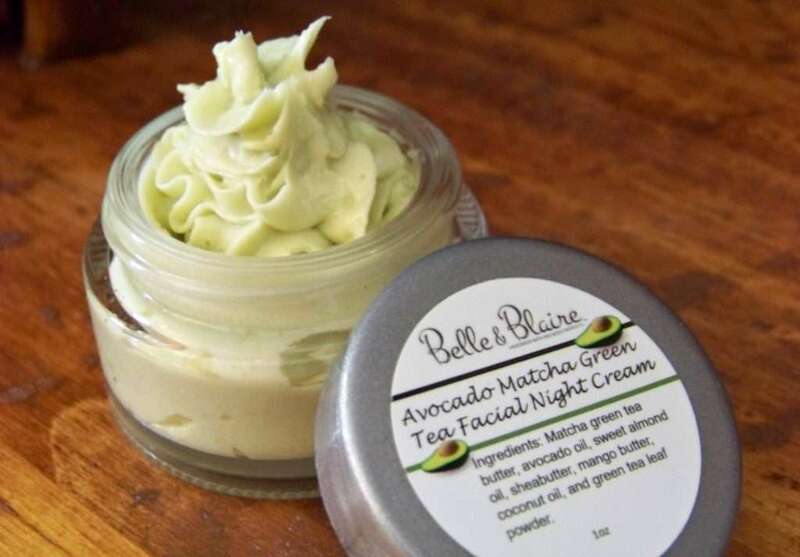 Avocado Matcha Green Tea Facial Night Cream is formulated for extremely dry, cracked, and mature winter skin that loses its moisture balance and elasticity during the winter months. The active ingredients in this night cream includes matcha green tea butter and avocado oil. With high content of antioxidants matcha applied topically helps care for the skin. It is known to protect against skin blemishes. Helps prevent and repair UV sun damage as well as reduces scarring, acne and redness. Avocado oil is a very effective moisturizer. It’s easily absorbed by the skin and forms a protective barrier which prevents water loss; therefore, it’s a good choice for people who are suffering from dry skin. 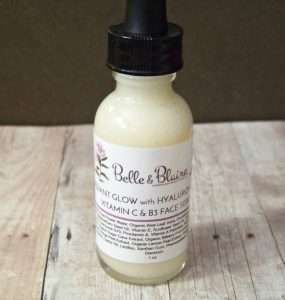 Radiant Glow Face Serum with Hyaluronic Acid and Vitamin C & B3 is a super light serum that is recommended for normal, oily, dry, combination, sensitive, rosacea, and aging skin. Light enough to wear under makeup and perfect for summer wear. Hyaluronic acid is a lubricating, clear substance that’s produced by the body naturally. In the human body, hyaluronic acid is found in the greatest concentrations in the skin, inside joints, within the eye sockets and in other tissues where it helps retain collagen, increase moisture, and provide elasticity and flexibility. Hyaluronic acid will replenish moisture that is crucial to having younger-looking, supple skin. At the same time, it revitalizes skin’s outer layers so they look and feel softer, smoother, and, glowingly hydrated to instantly improve the appearance of fine lines and wrinkles. Known as a natural brightener, Vitamin C is a topical antioxidant that’s been proven to be highly effective at inhibiting free radicals that cause wrinkles, sagging and general aging. Vitamin B3 (Niacinamide) is a hydrator and redness-reducer, perfect for anyone who has rosacea or dry, sensitive skin. It is an amazing multi tasker with several benefits for your skin. It helps reduce wrinkles, reduce uneven skin tone, help heal acne and reduce hyperpigmentation. We’ve updated the fragrance list for our popular Natural Probiotic Deodorant. Available fragrances: Chamomile, Chocolate Lavender, Coconut Lime, Honeysuckle, Jasmine Rose Petals, Jasmine Vanilla, Lavender Chamomile, Lavender Vanilla, Orange Vanilla, Patchouli Vanilla, Peach Rose, Rosemary Mint, Sandalwood, Strawberry Honeysuckle, Strawberry Rose and White Tea & Ginger. Fourth of July Sale! Get 15% off your total order now through Friday, July 7, 2017. Simply apply coupon code “JULY4TH” at checkout. At our Etsy Shop apply coupon code “JULY4TH” with a minimum order of $18. Soy wax is a vegetable wax made from the oil of soybeans. After harvesting, the beans are cleaned, cracked, de-hulled, and rolled into flakes. The oil is then extracted from the flakes and hydrogenated. The hydrogenation process converts some of the fatty acids in the oil from unsaturated to saturated. This process dramatically alters the melting point of the oil, making it a solid at room temperature. The leftover bean husks are commonly used as animal feed. Why we use soy wax? It burns cleaner as it contains no toxins, carcinogens or pollutants which means it’s less likely to trigger allergies. It lasts longer. Soy wax burns cooler which means that you can enjoy your soy wax melt for generally 30-50% longer than a paraffin wax. It’s biodegradable and water soluble. Our melts are made out of soybeans, they are naturally biodegradable which makes accidental spills easier to clean. We only use high quality fragrances to give a stronger scent throw. We have 27 fragrances to choose from. Available to buy at our website: https://belleandblaire.com/product-category/soy-wax-melts/. Or on Etsy: http://etsy.me/2u3NPX2. Formulated to give your skin the most optimum results possible. Our Moonstone Blue Tansy Face Balm is made with primary ingredients of Shea butter, fractionated coconut oil, squalane oil, kukui nut oil, candelilla wax, organic blue tansy leaf oil, jasmine absolute, geranium and rose essential oil to help heal a range of skincare ailments such as burns, blisters, acne, boils, dermatitis, eczema and rashes. It also provides anti-inflammatory, analgesic, anti-histamine, sedative and anti-microbial health benefits.